You will earn 340 Reward Points. Earn 1 reward point for every 1 dollar spent. 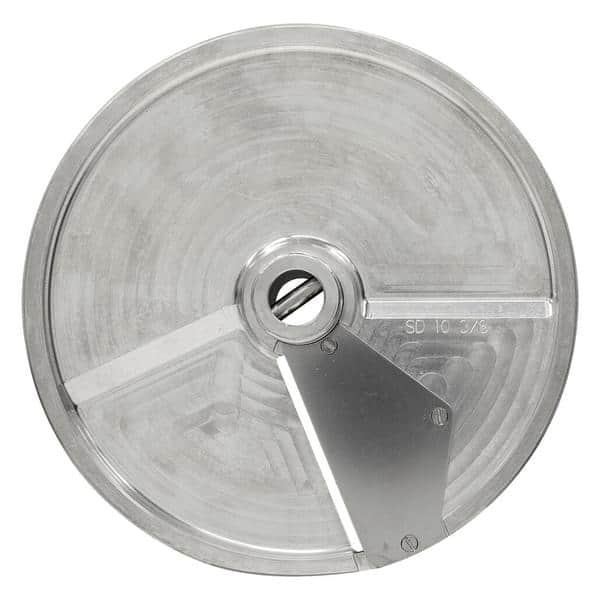 The Hobart SFTSLCE-3/8 3/8" (10mm) Soft Slicing Plate is designed specifically for use in your FP100 food processor. It's perfect for slicing soft, delicate, fleshy fruits and vegetables, because the precise cutting action won't bruise or mash your products!